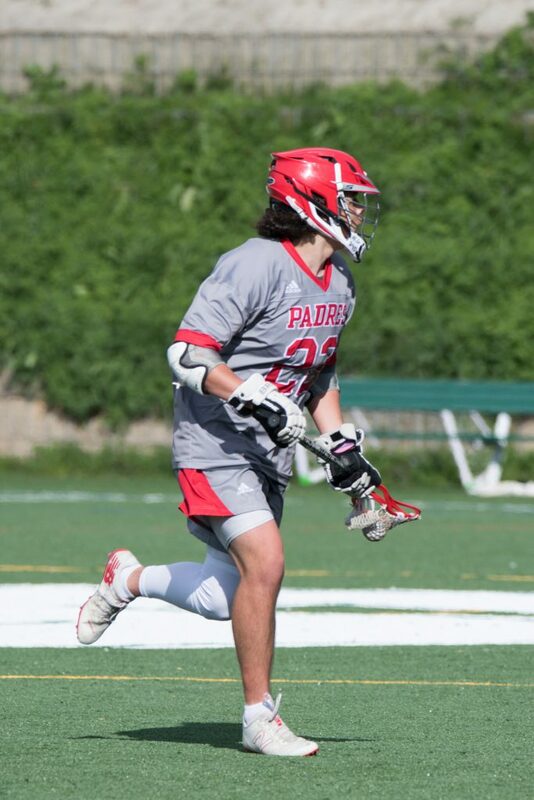 CHS lacrosse midfielder Luke Melcher led the Padre lacrosse team with 52 goals, 18 assist and 58 ground balls, helping them finish their season 8-8. Melcher moved to the area his sophomore year of high school from Massachusetts and was first seen participating in the Carmel High football program where he made a large impact, but his main focus has been on improving his lacrosse skills and doing so by becoming a dynamic force for Padre lacrosse. Lacrosse is known as the “fastest sport on two legs” by many of its constituents, and to Melcher that’s just one reason he’s enjoyed the sport for so many years. Head coach Mark Abrahams hopes to help Melcher increase his knowledge and skill of the sport through each play, and in the process aid in the improvement of his top offensive player. This season Padre lacrosse scored 144 goals against adversaries. Thirty-six percent of the team’s goals were scored by Melcher, and 18 more were subsequently assisted by him. Fellow captain Joe Johnsson has been involved with Padre lacrosse for four years and notices not only Melcher’s effect on the offensive side of the ball, but also on the defensive side of the game, earning his team possession more than 50 times with his ability to pick up ground balls. Though the season is over, Melcher is determined to work at his skill on the field in preparation for the next year—most likely while participating in travel team ADVNC Lacrosse—and in preparation for a chance at playing the sport he loves at a higher level in college. With many game-changing seniors, such as Kenshi Husted, Christian Arnold and Logan Vandenbroucke—who together scored 42 goals, made 22 assists and changed possession with ground balls 69 times—graduating and leaving a hole in the Padres’ offense, juniors such as Ben Bouhaja on the midfield with Melcher and Mason Abraham on the defensive side of the field are looking to even the odds going into the 2019 season.